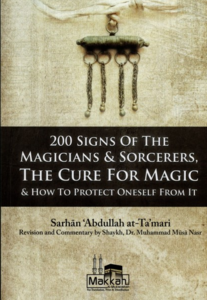 As magic, trickery, lying and cheating has become widespread in the Muslim world and people have had their money taken in falsehood, by the vilest of creation, lying magicians, it has become a duty on the salafi Muslim, who has some concern for Allah deen and his sick Muslim brothers, to expose the ways of the magicians and clarify the reality of such sinful disbelievers. What encouraged me to write this booklet is the fact that these people make the haram halal, deviate from the creed of the Salaf and play with Muslims sanctified honour. Al-Mahdi - Truth or Fiction?